Safely prevents the child from releasing their car seat buckle. For use with children who can escape their car seat or for children with special health care needs. Two ways to release the buckle after installation of the buckle guard: Slide thumb under the guard and push the release button, or use the provided tool to open the buckle (in an emergency any pencil shaped item can be used to release buckle). 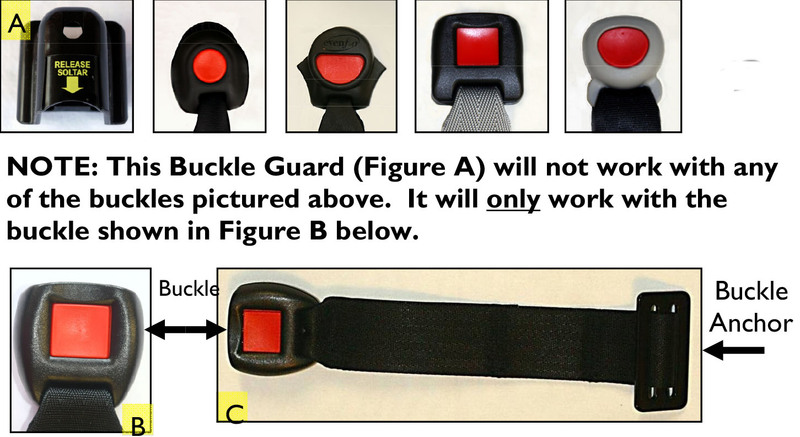 NOTE: Can only be installed over an IMMI buckle (see photos below). NOTE: Credit Card Checkout can only calculate shipping up to 5 items. If you wish to order more, please make multiple orders, or call 317-409-0148 for telephone processing. 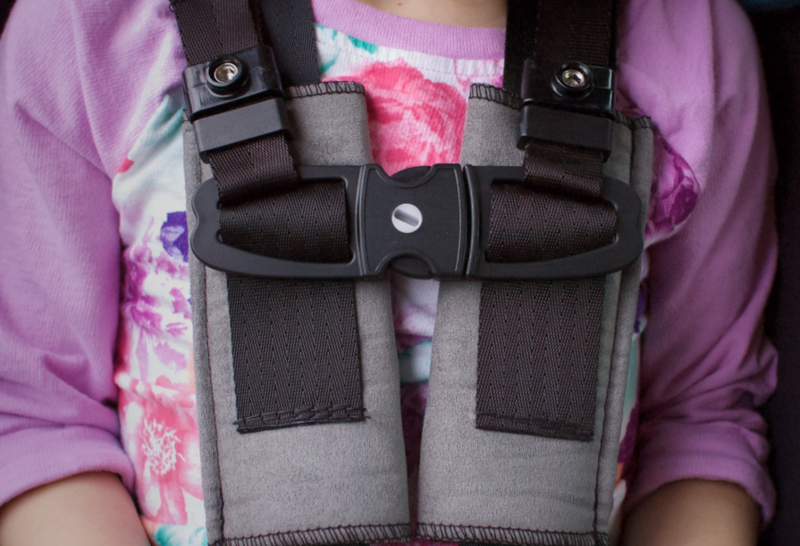 Using a Chest Clip Guard and a Buckle Guard together prevents all the most common ways kids get out of their seat. 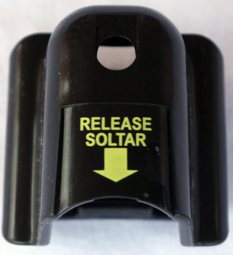 Safely prevents the child from sliding down or unfastening their car seat chest clip. The chest clip can be opened using the provided plastic "key". In an emergency, any key can open the clip. Installs on current car seat straps but in place of the original chest clip. 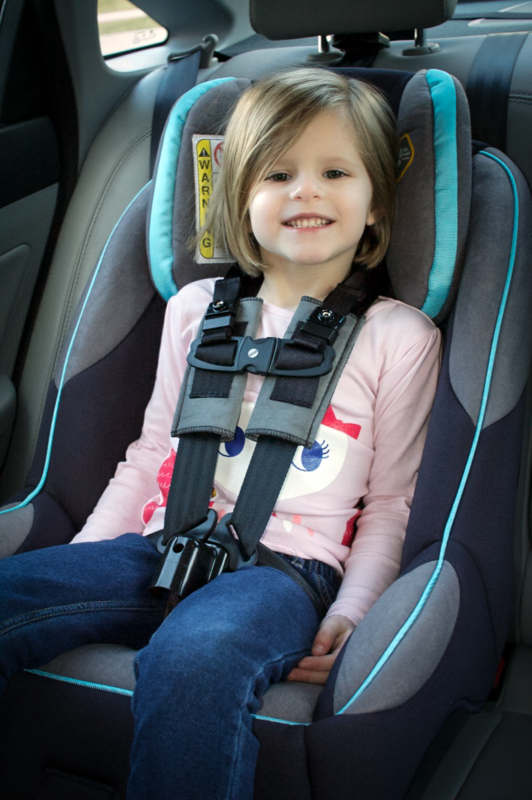 NOTE: Can only be used on car seats that feature a splitter plate on the harness, which is found on the backside of the car seat(see photo below). 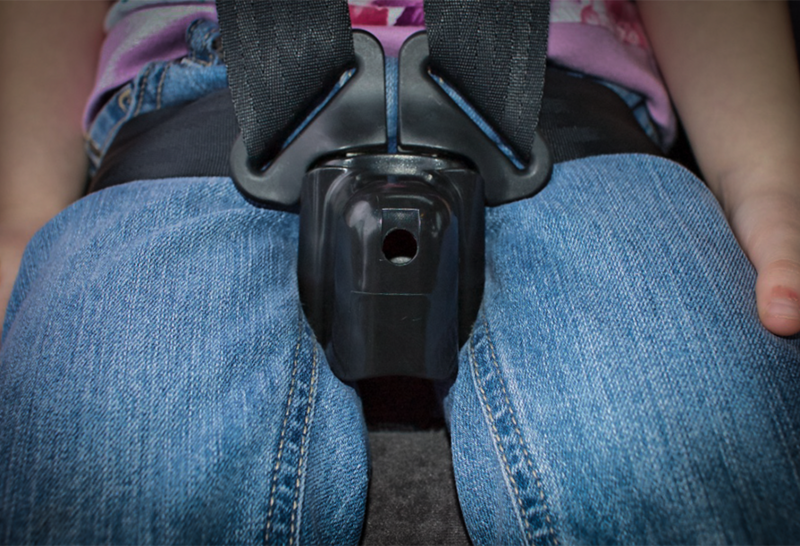 Splitter plates like this are found on the back side of many child safety seats, and allow you to unhook harness straps so you can slide standard chest clip off straps and replace with Chest Clip Guard. © 2016 Merritt Manufacturing Inc.